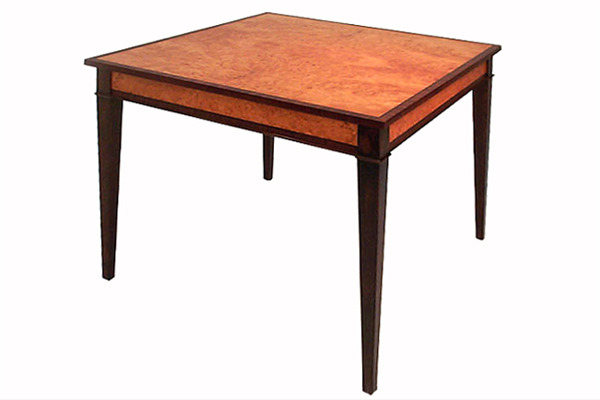 This bridge table features a four way matched burl veneer top with an ebony border and rosewood "waterfall" edges. The legs are painted a black over orange milk paint which mimics the rosewood surprisingly well. Many other center patterns are possible including a diamond match (four triangles) and a pinwheel match (matching pieces rotated) for the central element.